At the beginning of October I went to Portland for 36 hours. I was there for work and my schedule was packed but when I was not working I was eating (and even sometimes when I was working!). I love Portland and the Pacific Northwest in general. As I have mentioned before this area of the US feels like home to me. It is the region that Mr. Misadventures and I will mostly likely retire to one day. Portland is a great city for food in every price range. 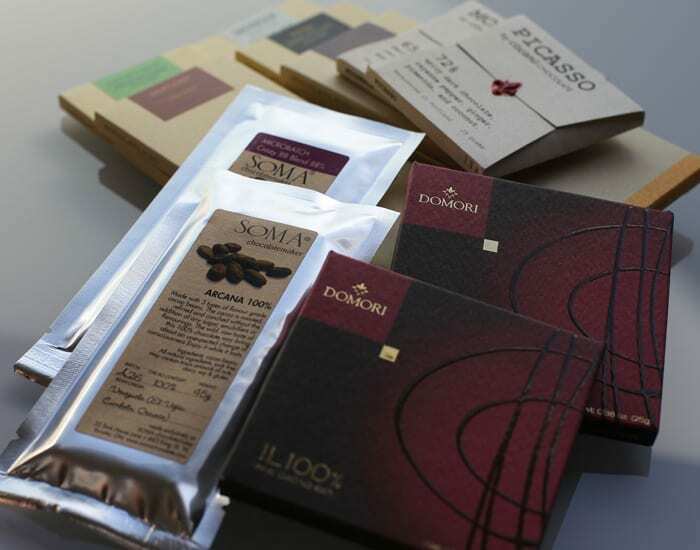 There is also a formidable coffee culture, beer culture and the area surrounding the city is my favorite wine region. It produces exceptional pinot noirs which I am a bug fan of. And while I did not get back to Pine State Biscuit (trust me, it was on my mind the entire time), in my time in Portland I visited the Alder Street carts (food trucks) twice, spent and evening where I ate an exceptional Pok Pok wing; a tasty Voodoo Donut and visited a chocolate shop (twice) where I had a cup of hot chocolate inspired by Angelina’s in Paris. Not bad for 36 hours. With close to 50 carts between Southwest 9th/10th avenues and Washington/Alder streets the choices can be overwhelming! The spot for the Alder Street carts is two blocks from my Portland office, something that is a total bonus in my opinion! I had two lunches in Portland and both of them were spent exploring the carts. The first day I got the famous Nong’s Khao Man Gai. They have a couple of dishes but they are most known for their khao man gai which is just chicken and rice. But it is not *just* any chicken and rice. 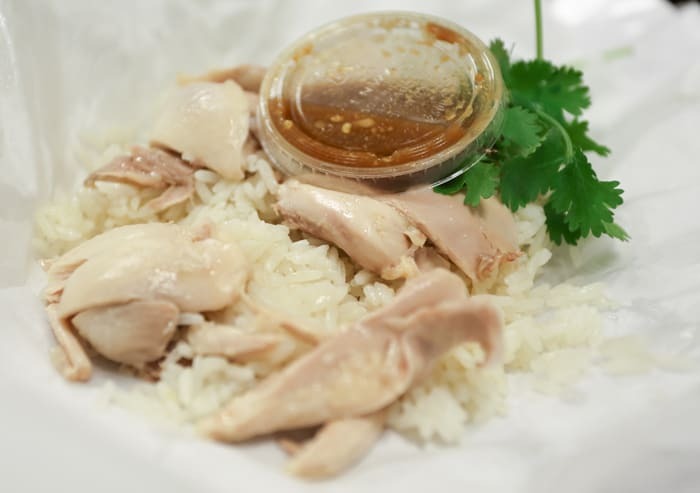 It is melt-in-your-mouth tender poached chicken served on a bed of good (trust me, there is good rice and bad) jasmine rice which is served with an addictive ginger-garlic dipping sauce. Yes please. It may not be much to look at, but trust me if you ever get a chance to have it, take it. 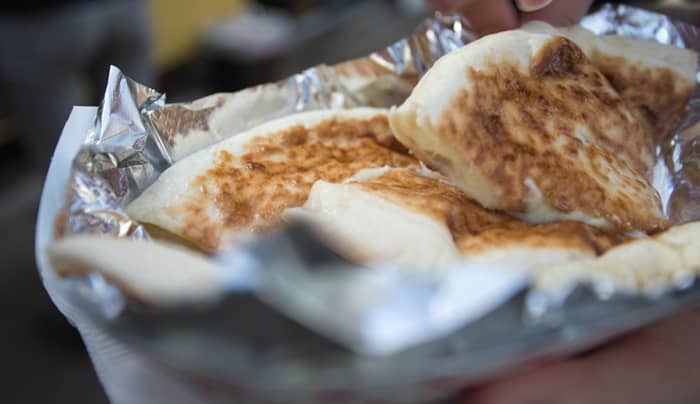 My colleague tried the Kargi Gogo cheese bread, known as khachapuri in its native Georgia. This cart run by two ex-Peace Corp folks who spent several years in Georgia offers foods from an area of the world that most people are not familiar with. 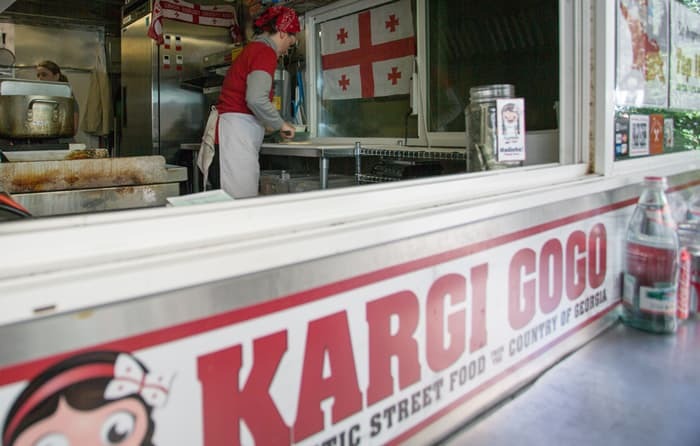 They make their menu items fresh as a lot of food truck people do. It was fun to watch them roll out the bread and prepare the dish in front of our eyes. 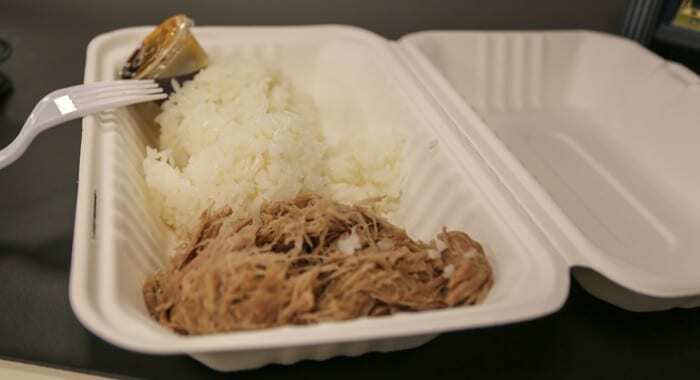 The next day I went back and had the Kalua Pork from Island Grill Hawaiian cart. I am a sucker for any meat – pork, beef, chicken – that has been cooked for a million years and falls off the bone. We tried a dumpling truck for dessert but it didn’t compare to the desserts I had the previous evening which included a Voodoo donut, amazing ice creams and delicious cupcakes. I should have stopped while I was ahead! Besides, I knew I was going to go back to the Cacao Drinking Chocolate shop and drown my sorrows in a cup of Rivoli hot chocolate. It’s fashioned after the chocolate served at Angelina’s on Rue de Rivoli in Paris. Of course I didn’t stop there. After a friendly conversation with the staff in which they showed me all the local artisanal chocolates from the Portland area, I ended up buying a whole bunch of chocolate to take home. Did I mention I like dark chocolate? My time in Portland was definitely too short, but I certainly enjoyed it, me and my two stomachs! How about you? Do you have some favorite Portland spots? Check out other Portland highlights in my Perfect Portland Wanderlist on AFAR. Also, there are some great photos of the Aldrer Street area from Portland native Andrew Burdick. I haven’t been to Portland yet, but really want to get there to enjoy the food, beer and wine experiences. @Lance, it’s got that in spades! I’ve seen some food from those carts before… nice to see another set of dishes. I think I must go. I haven’t been to Portland in years, but I remember that there are a lot of places to go that have excellent food for good prices. The food looks amazing! I visited Portland many years ago, before food trucks were so popular. I’d love to go back and check it out again! The food there looks amazing! I’d love to visit Portland one day. I have never been to Portland, but I would love to go. Thanks for sharing your amazing adventures. Portland is such a world of it’s own. I’ve been there before, and it’s certainly a different experience! Ever seen “Portlandia”? Not far off on that show! @Tommy, I haven’t seen it yet, but everyone keeps telling me to check it out, so I guess I better. Loved Portland!! Loved Hopworks Urban Brewery, the beer, food, and atmosphere were all great!! @Gina, totally agree, foodie heaven! And the beer! I can’t get over how good that Kalua Pork looks!! If I’m ever in Portland I hope to have the chance to try it. @Sarah, it is as good as I’ve had it in Hawaii! I love how much you were able to do in 36 hrs. Also, I want to visit now. @Ash, I hope you get there – you definitely need more than 36 hours! I’ve heard lots of different things about Portland. It sounds like a super fun place to visit! I totally want to go now. @Julia, it is such an awesome place – food, wine, beer, lots to explore!